It’s a great time to start thinking of doing some decluttering or even go all in and start fresh with a home renovation! 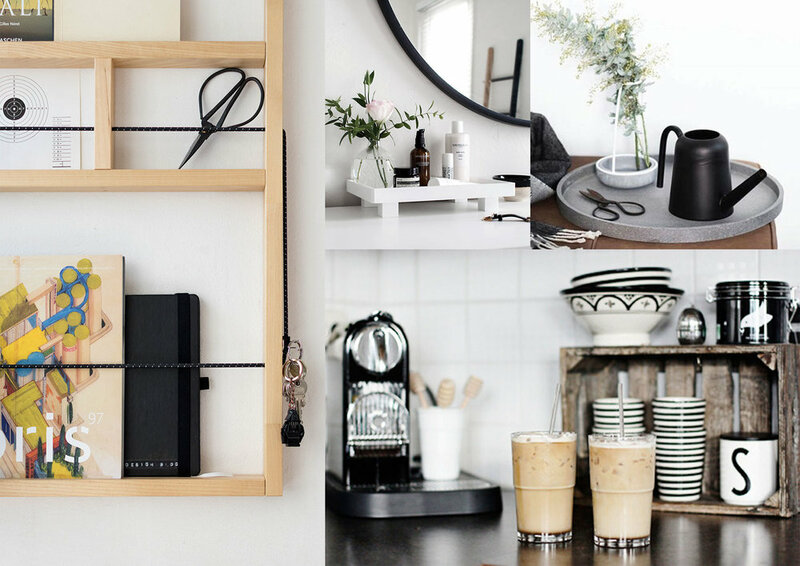 Below a shortlist of some creative organising tips for your home. My favourite: Create stations throughout the home. This easy access solution is decorative and practical. It can be anything from a coffee/tea station to a key station containing the necessary basics. 2. 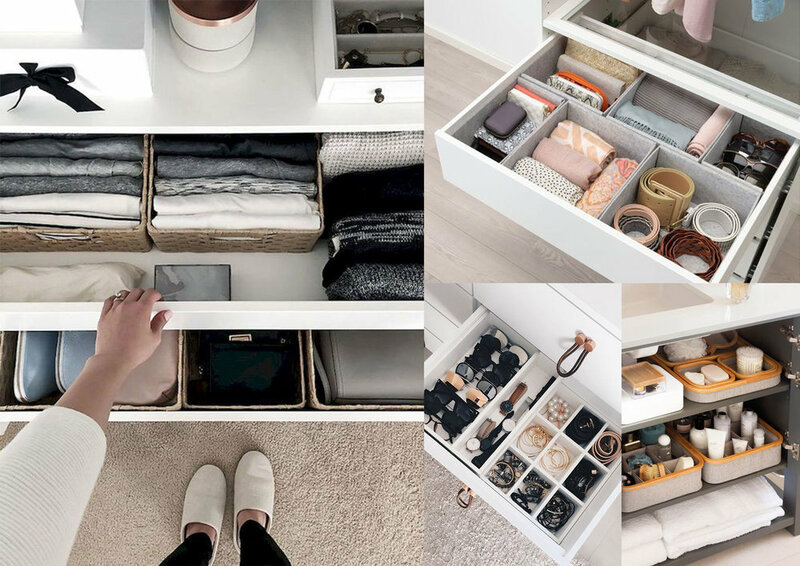 Drawer organisation: use boxes of various sizes and for clothing, use the correct folding techniques to keep a tidy drawer. 3. The pantry: one of the most popular “house goals” is to have a well stocked pantry which looks just like that dream showroom kitchen. *Tip: Label your containers with the item name and it’s expiry date. Before you do any of the above, start by going through one area of the home at a time. Get rid of anything that you don’t use or like and any expired or broken items. A great idea is to set up an online store or give items in good condition to a charity. Thinking of a complete renovation? 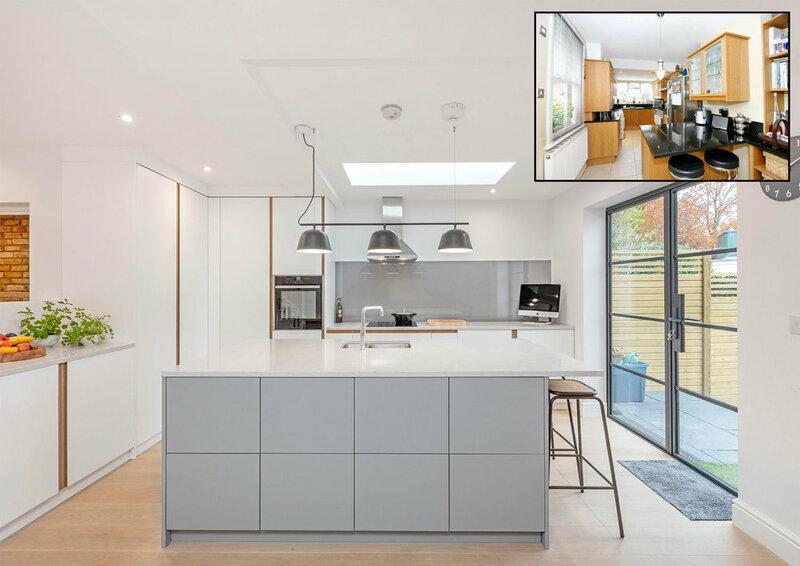 Get inspired by the before and after of a kitchen in a recent project we’ve designed. A side infill extension in this semi allowed enough space to fit a spacious kitchen including an island. If you’re thinking of improving your home, contact us by email hello@catocreative.com or give us a call on 020 8704 0022.